Random Images from the weekend before – Hello Korea ! 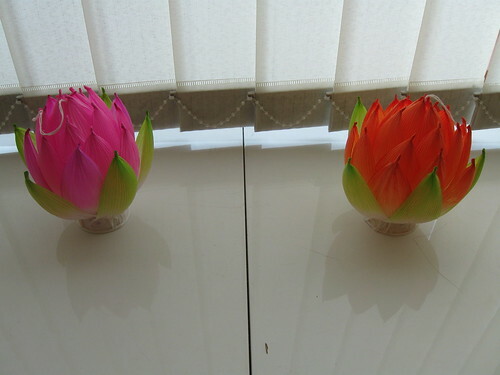 Amazing what can be done with dixie cups. Could have made one myself, but for 75 cents each I helped feed homeless men. Saw some amazing lantern floats at the evening parade, but my camera batteries died. Haven’t found the rubber shoes of my childhood anywhere. Here are some soft plastic ones of the same shape. I’ve seen fancy shoes with an added heel at the Hanbok stores, and I’ve seen miniature souvenir shoes made of paper, but I guess the rubber shoes are totally extinct. 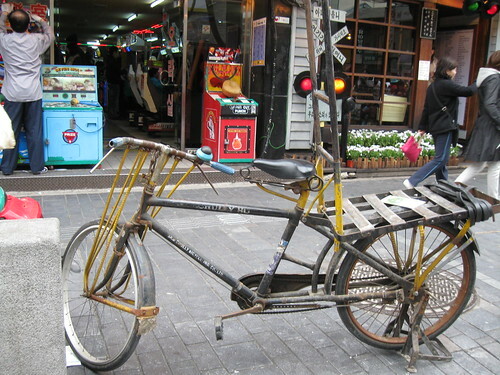 Every now and then you see these massive old Chinese bicycles at the markets, which have been retrofitted with these welded and riveted racks on them. Sometimes they’ll be laden four feet high with boxes and goods to be set up at stalls. 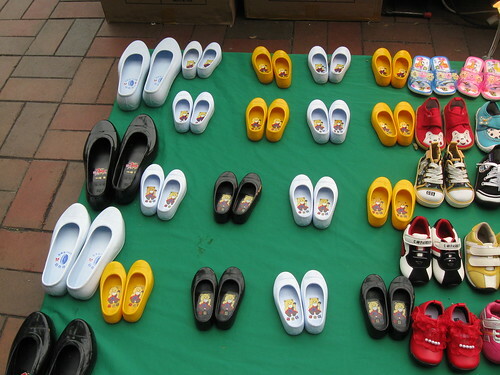 The rubber shoes were sooo much cuter than these! And more flexible too. I don’t know what happened to mine. I also can’t find any pictures of them on the internet. I don’t think they came with me on the airplane, because stupid Holt told my parents to send western clothes and shoes. I did get some later, and I also had a smaller pair that fit my Chrissy doll. They were very colorfully painted, and there was a rubber taped seam up the back and the edges were softly rolled. They were really adorable.